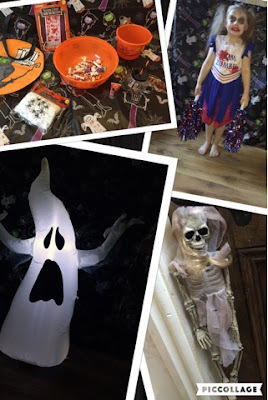 Life with Liv: Halloween haul 2016! As I'm sure you will all know, a week today is Halloween! We never really participated in any parties or anything until we had Liv, now of course she thinks its fantastic that she gets to dress up and visit the family calling out "trick or treat" at the door with her Cousins. Every year my Sister in Law and I pool together all the decorations we have collected over the last few years and decorate their house for the Family party! Here are some of the goodies I have collected this year. Let me know what you do for Halloween. These lovely pieces all came from the fabulous Aldi. 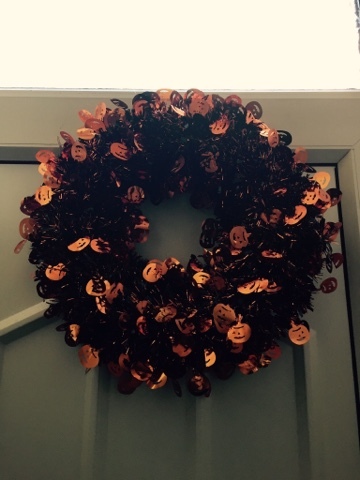 My favourite is this Halloween tinsel wreath, how lovely! It could also be used as a table centrepiece with some of the LED candles below if you are having a party. As I'm sure you can tell the candles are Led and battery powered, far safer with lots of decorations around and little ones in flowing highly flammable costumes. Livs favourite is the drinking cup which she is already using. 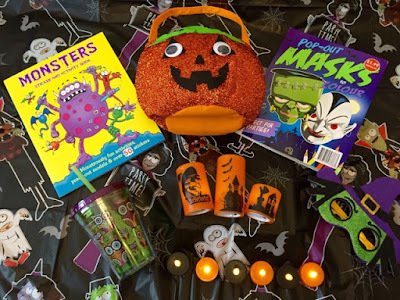 I'm sure there will be hours of fun colouring in her monster book and making some masks with her Cousins at the Weekend, thank you and Happy Halloween Aldi! This year Livs costume is from none other than Wilkinsons. She is very excited to be a zombie cheerleader and has been practicing her zombie face for the last week, effective don't you think? I can't wait to see them all in action this weekend! Thank you in particular for the Halloween costume Wilkinsons! 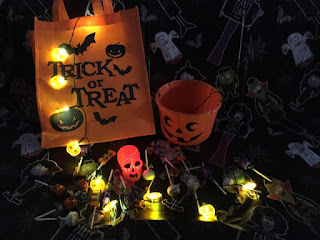 Poundstretcher kindly sent us a package containing some lovely Halloween pieces including a loot bag, loot bucket, battery operated light up skull and some adorable battery operated pumpkin lights. Not to mention lots and lots of Swizzles lollipops to hand out - yummy! 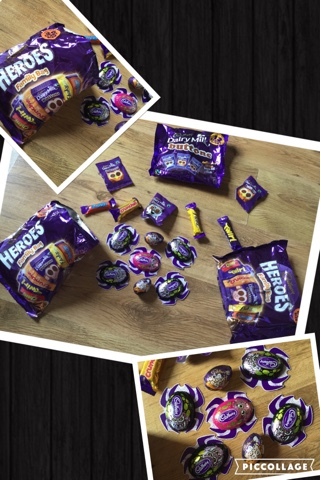 Halloween wouldn't be complete without some yummy Cadburys chocolate right?! 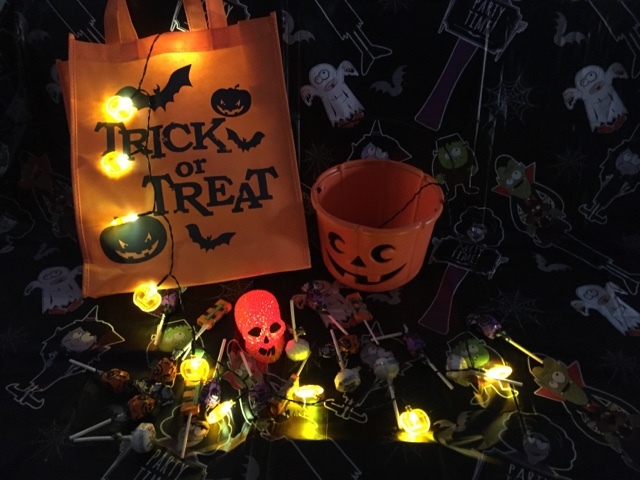 We were kindly sent some spooky spiders, ghoulish eggs and not forgetting the Family bags of Heroes miniature bars/bags of buttons. Liv has her sights firmly set on the pink spider, she has already sampled one of the eggs and declared them yummy yummy yummy! Next year I have my eye on adding this amazing Serie noire rug from Modern rugs to the collection. How fabulous is it!? I love it that much, I would definitely leave it down all year round. Obviously the first thing that caught my attention was the quirky, modern design, however I was pleased to read that it is made from high quality 100% polypropylene with binding on 2 sides, meaning it will be hard wearing and easy to wipe clean - key with a 5 year old on the rampage! 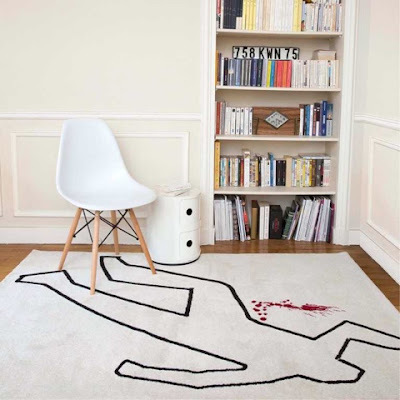 The rug measures in at a sizeable 4 foot 5 inches by 6 foot 2 inches and is priced at £219, with free delivery within 7 days, now to get the Husband on board! Happy Halloween from Life with Liv! More decorating - winter interior trends 2016.